Dairy – and how much, if any of it, we should consume – is one of the more polarising diet and nutritional topics out there. From cow’s milk to cheese, plenty of diets – such as the so-called’ clean eating’ trend – suggest cutting out the creamy stuff, over claims it can be difficult to digest, is often loaded with hormones and can cause your skin to break out. But the Duchess of Cornwall has warned that axing dairy from your diet can put you at risk of developing osteoporosis – a medical condition where a person’s bones become weak and brittle, and less dense. “It’s the fad diets, they are the worst thing to do,” she told the Daily Mail. “You are depriving your bones of calcium. They always say you are what you eat. “These girls see ‘Skinny Lizzies’ in a magazine and they all want to be thin. It’s about social media. So can going dairy-free put you at risk of the brittle bone disease? “In a word: Yes,” says TV medic Dr Sarah Jarvis. “Calcium and vitamin D are essential to healthy bones,” she says, noting that, while anyone can develop osteoporosis, women are particularly at risk. 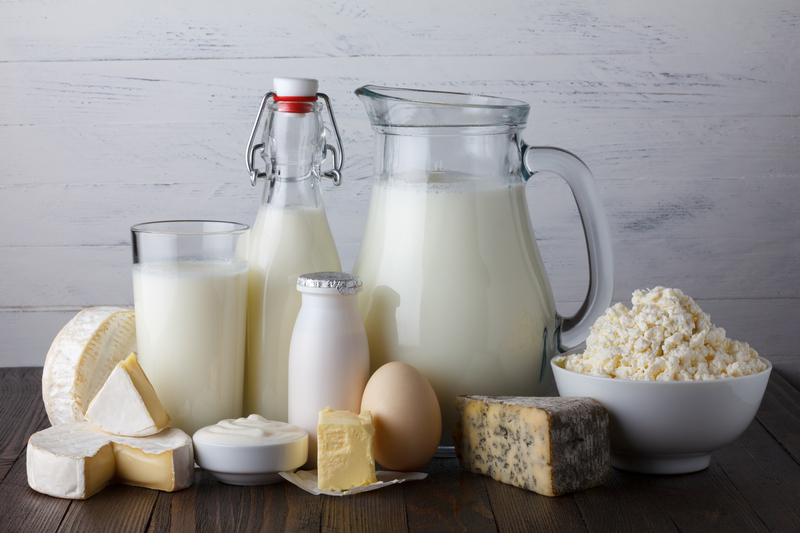 “Women who cut out dairy before the menopause are at a higher risk of developing osteoporosis, as this can lead to the thinning of bones, or osteopenia, which will leave you at a greater risk of developing osteoporosis later on in life,” she warns. Harley Street nutritionist and author Rhiannon Lambert (rhitrition.com) adds that, if suitable alternatives aren’t consumed in a dairy-free diet, cutting out dairy might put someone at risk of deficiency – making them more prone to osteoporosis. “I suggest, if making drastic changes, to seek out a registered nutritionist or dietitian for advice,” she adds – or of course, your GP. Jarvis also stresses that if you choose to cut out dairy, it’s essential to make sure you’re consuming lots of calcium-fortified foods, such as fortified orange juice, tinned fish with bones, dark green leafy veg, seeds and lentils as good sources. “Calcium is very important for everyone,” she notes, “but it’s particularly important for women, because they are at particular risk of osteoporosis after the menopause.